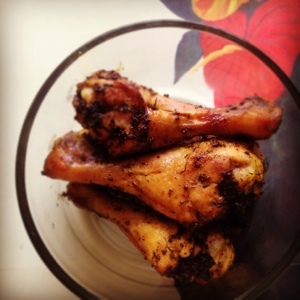 Lately, cooking lunch consisted of a choice between chicken legs and a whole chicken. 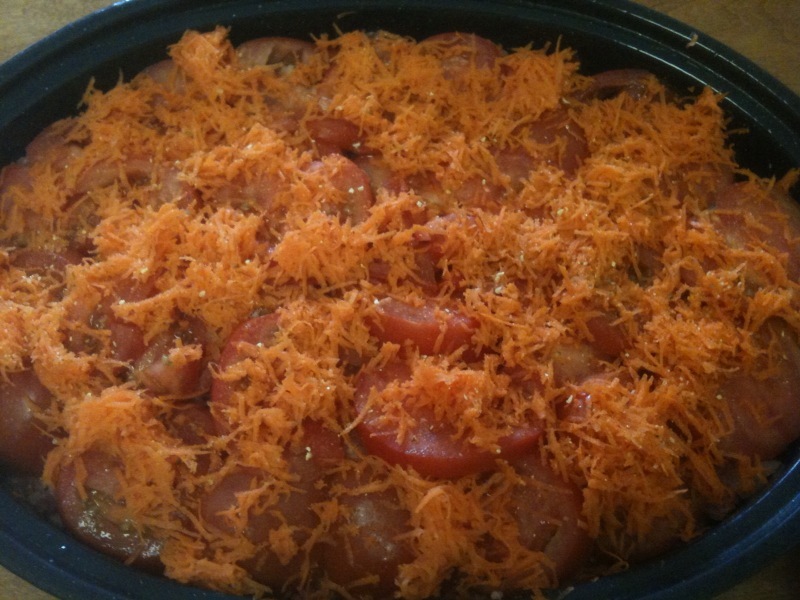 I usually bake them in the oven – all I need to prepare is the marinade. This one uses mustard and thyme. 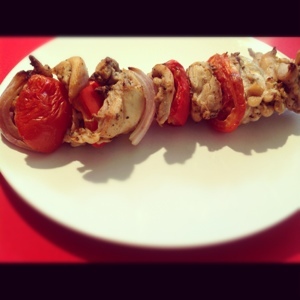 Chicken skewers with red onion, bell pepper and tomatoes. First thing to know about this recipe: you can (almost) never go wrong with it. Second, it takes 10 minutes to prep everything and 45 minutes to cook. Third: it is really good! Gaucho Brazilian Barbeque has recently moved to a new location, across from Chinook Mall (5920 Macleod Trail SW, Calgary). If you’ve been to the old place, you’ll appreciate the new design: urban and chic. They’ve also updated the menu, so you now have more of a choice (although it’s quite debatable whether you actually needed more choice in this restaurant…). 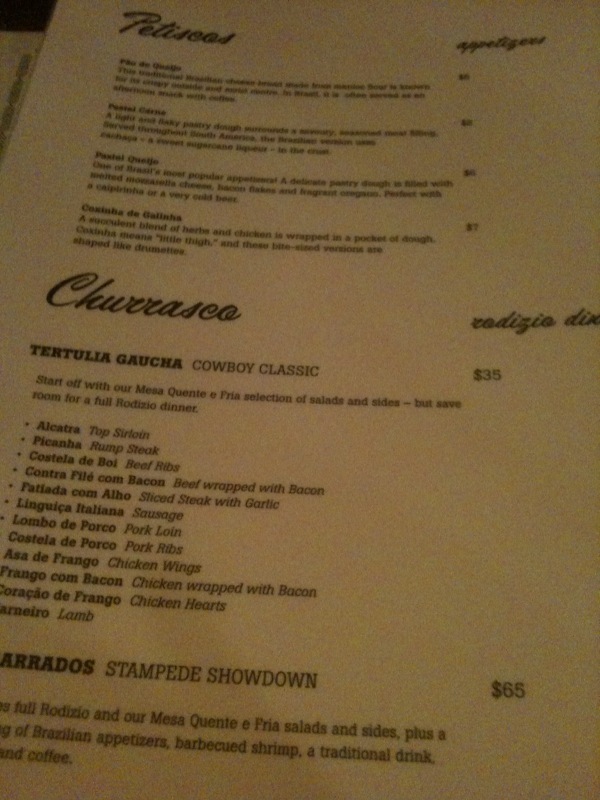 For those who have no idea what Gaucho is, then get ready for the ultimate meat experience. For $35/ person, you get to eat as much meat and salad as you want and can eat (limit of 2 hours). But Gaucho is more than simply meat: it is a meat experience. All the meats – and you’ll sample beef, pork, lamb and chicken – are freshly BBQ-ed. The staff comes with huge meat skewers at your table, and cuts a little bit of everything for you. I wouldn’t know what to recommend first: the beef or the chicken wrapped in bacon? The pork or the tender lamb? The only thing I found too heavy for my taste was a type of sausage. Otherwise, the salads were great, the polenta and fries treats they brought at our table were really tasty, and the drinks menu seemed to please everyone. For two people, the dinner bill came at $110 with a half bottle of wine, one sambuca and a soft drink. If you didn’t go to Gaucho’s before, it’s really worth trying it out! 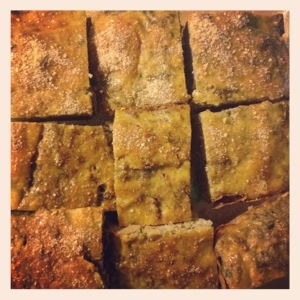 A recipe I got from Lucullian delights. Tried it yesterday, using boneless chicken thighs. It is quite easy to make, and you don’t need too many ingredients: 1 red onion, oil and balsamic vinegar, and thyme. 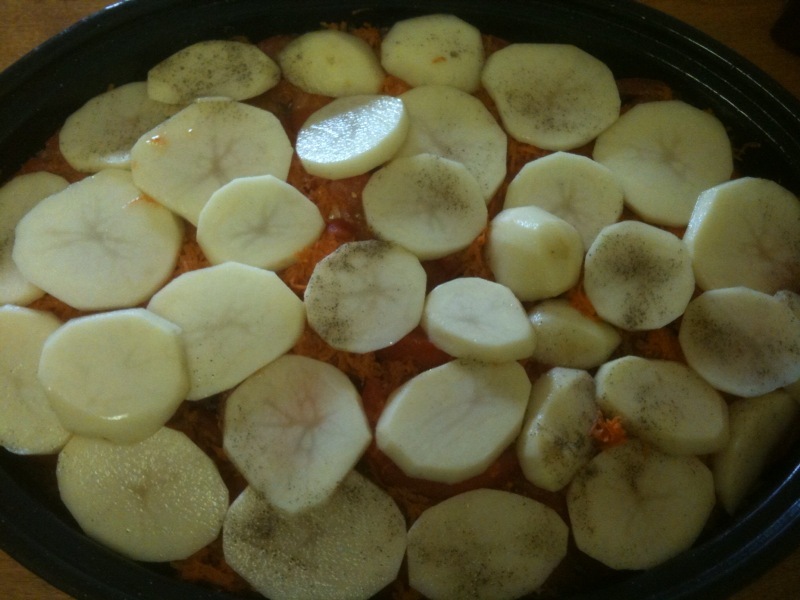 A very nice taste (a bit sweet from the onion, with a nice thyme flavor) – quite a good alternative if you are bored with your usual way of cooking chicken.